Many homeschool families make a drastic change when their children hit middle school or high school–they stop homeschooling. Some make this change based on well-thought-through decisions and preferences. The choice is what they’ve determined is best for them, and that’s wonderful! Those families are not who I am writing to today. I’m addressing those who really want to continue homeschooling but don’t think they have what it takes to homeschool into the upper grades, those who are fearful they might “mess up” their child’s education or chance of getting into college. You DO have what it takes, and you won’t mess up anything! One of the reasons I know this? RESOURCES. Resources abound, online and off, to help you through and lead you along the path. 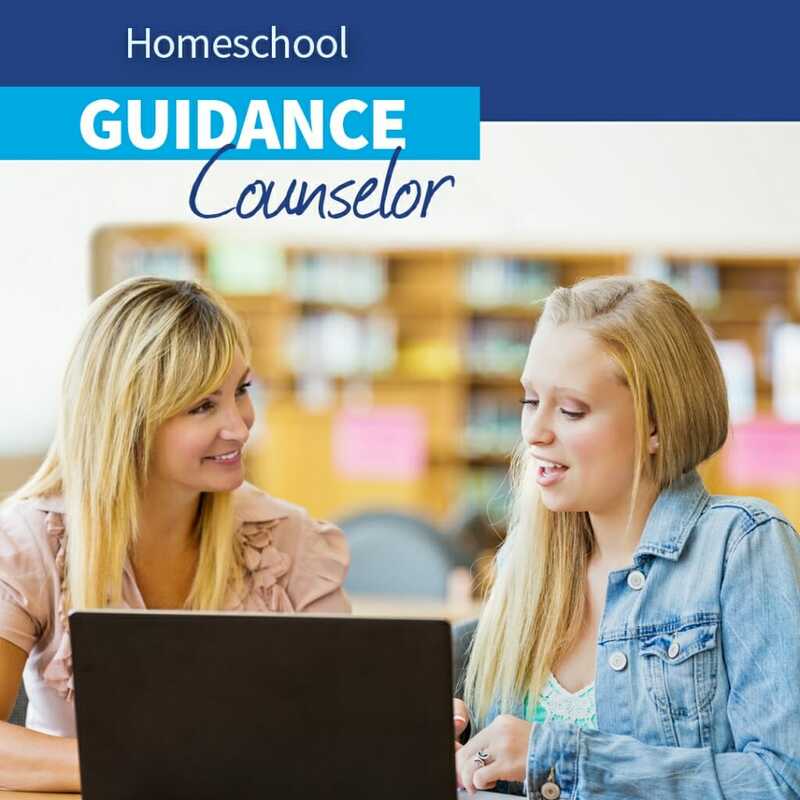 Homeschool Guidance Counselor–– Teach Them Diligently has set up a FREE homeschool guidance counselor program that is designed to give you all the information you need to homeschool your children all the way through high school. Starting with a downloadable road map for each year and continuing with monthly email reminders of what you can expect and weekly office hour videos, and culminating in onsite helps and information at Teach Them Diligently events, the Homeschool Guidance Counselor program is the most comprehensive help for high school available. Sign up today and get started homeschooling high school with a lot more confidence. Homeschool Guidance Counselor Facebook Group— Through the free guidance counselor program, we also make available a private homeschool high school Facebook group, moderated by Matthew Bullington, the TTD guidance counselor. This is a great place to watch the weekly office hours videos live, interact with others who are homeschooling high school, ask your questions, and more. Join us there today! *HSLDA—There is a ton of general homeschooling information here, but they also have links for specific state education websites where you can find graduation requirements. Very important stuff to know! *The Ultimate Guide to Homeschooling Teens by Debra Bell–“Inside this incredible resource you will find: tools for developing critical and creative thinking skills, study-smart strategies for maximized learning, what to do if your child is behind or ahead, how to prepare your child for high school during grades 6–8, all the forms, charts, and resources you will need to teach your child through high school, and much more”. This is a fabulously detailed and encouraging book! 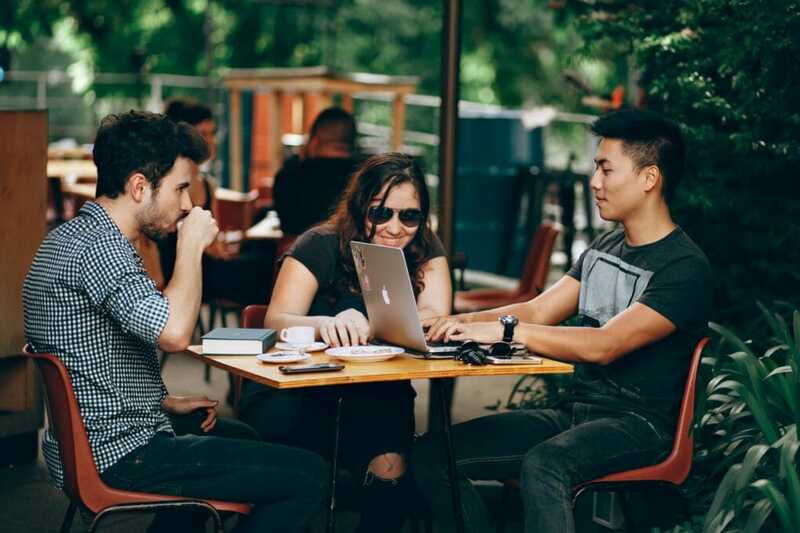 *Let’s Homeschool High School—There are ways to connect with other high school parents here, ways for your kids to connect with other homeschool high schoolers, and an amazing amount of practical helps and tips. This is a great place to start if you’re just beginning to look into homeschooling through high school. They’ve got a beginner’s guide that is quite helpful. *CurrClick—This site offers live online classes, book studies, specialty classes, and much more for all ages. *Lee Binz, The Home Scholar—Lee is a fantastic source of information and has answers for pretty much any question you might have about homeschooling into the upper grades. *Homeschool High Facebook Page—This is a group on Facebook for homeschooling parents of high schoolers. Have questions? Ask away! Searching for curriculum ideas? Get a feel for what others have used. Not sure what subjects to include for what year? Hear from those who have tried different methods. This is a wonderful support community. *People who have “been there”–One of the great resources available to you is someone who has walked the path you are just stepping foot on! And there are many of them out there! Here is one, for example: Weird, Unsocialized Homeschoolers. Kris has lots of curriculum posts and ideas, plus great encouragement for how to raise teens, homeschool them, and LOVE DOING IT! *Your student–An exciting component to homeschooling your upper grade students is tailoring their education to their interests, passions, and strengths. As your children mature and get a clearer picture of where they may be headed after graduation, you can gear their years at home toward those goals and desires. Lee Binz who is mentioned above, really focuses on this aspect of homeschooling your older children. *Yourself–Yes, you! You know your child and are still his or her best teacher, even into the middle and high school years. Will you, as the homeschool parent, need to do your homework, a.k.a research and plan? Yes. Will you need to know the requirements? Yes. Will you need to keep track of curriculum and credits? Yes. Is all this really doable? Absolutely. To find more helpful articles on middle school and high school homeschooling, and how to make it work for your family click here to search a multitude of blogs and sign up for our newsletter to stay informed on many homeschool topics. 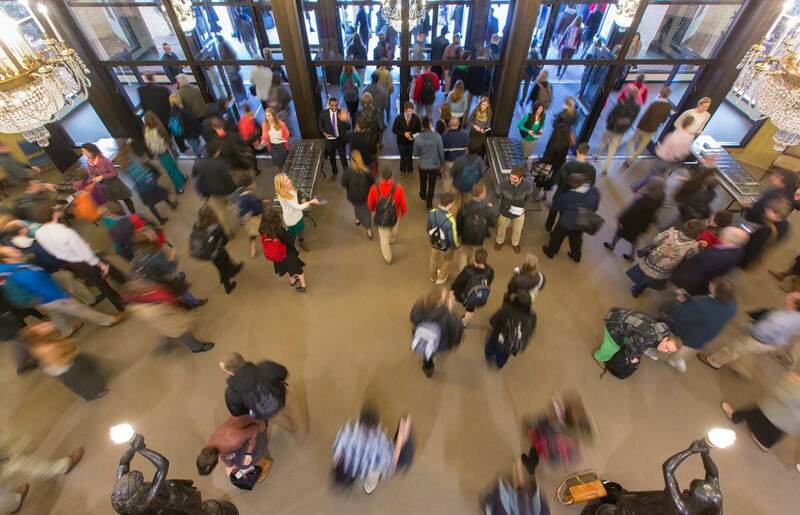 As you start to mull over which classes to take next semester, you may be hoping to get ahead in the college admissions race. So what options are out there? There are honors classes, Advanced Placement (AP) classes and dual enrollment courses. 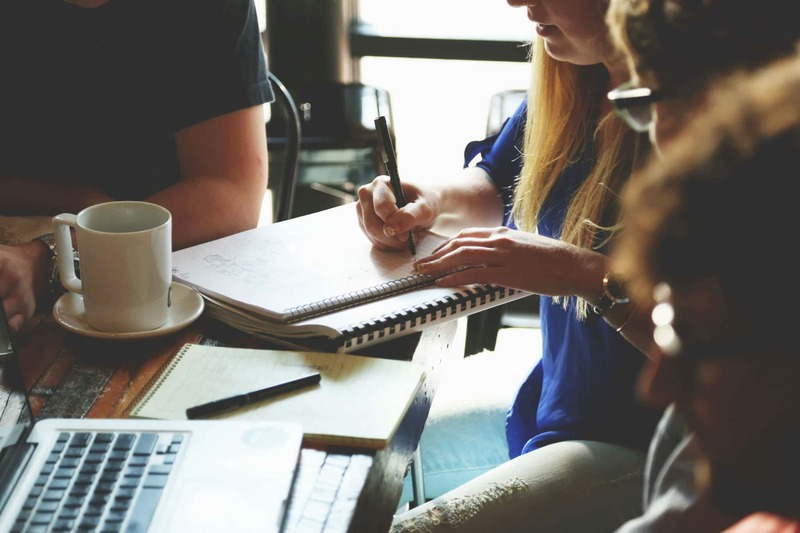 Honors classes often offer the same curriculum as standard high school classes but are tailored for higher-achieving students — covering additional topics or some topics in greater depth. Advanced Placement classes (AP) prepare you for college as well as for a standardized exam for college credit. It is possible, and not unusual for a student to pass the class with flying colors and still not get college credit due to varying college requirements. It is a good idea to do the research before committing to AP classes. Dual Enrollment courses are quite different than Honors and AP classes. Dual enrollment provides an opportunity for you to meet your high school requirements and get a head start by earning college credits while experiencing academics in a higher educational environment. Save Money. Often, dual enrollment courses are offered at a lower rate than the same courses taken after high school. Get a head start on college. Dual Enrollment is a great way to take college courses and get ahead before you have even put on that cap and gown. You will find that many courses are offered online. If you plan accordingly, you could earn up to half of the credit required for an undergraduate degree. Experience higher education. Dual enrollment will give you a chance to learn what it is like to be in college. Get to know your professors and experience college early so you can be more prepared to make important decisions that will shape your future. If you are interested in dual enrollment, talk to your parent or high school counselor or even give us a shout. Ultimately, it is important that you choose the path that is right for you. Have you joined our Homeschool Guidance Counselor program? Starting with a free high school overview printable and continuing with timely updates each month for every year of high school, this helpful program is a must join for all families homeschooling high school students. Learn more here. Are you looking for even more high school helps? Check out these posts from the Teach Them Diligently Blog! • 8 Things Every High School Student Should Know. 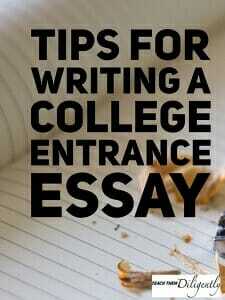 • Tips for Writing A College Entrance Essay. 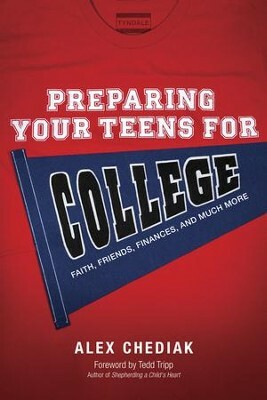 So your teen is ready for college! The days of unit studies, phonics and book reports have been replaced by scholarship hunts and admission counselors. You’ve read the fliers, searched the websites and talked about majors. Now it’s time for you and your teen to see it all in person. 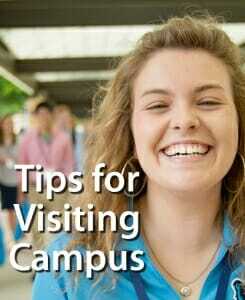 Your tour will probably be led by a current student who will show you landmarks, dorms, dining commons, classrooms and at least one coffee shop. (College students are rarely far from coffee!) This is a great time to ask questions and get a student’s perspective. Take advantage of your chance to experience the learning environment your teen will be in. See what the professors are covering and how they interact with the students. Are they approachable? Are they excited about their subject? Be sure to note class size and any projects the class is working on. If the college offers overnight stays, encourage your teen to do it! They can ask their roommates questions and experience dorm life. Quite a few colleges require freshmen to live on campus, so make sure both you and your teen are comfortable with the environment. Finally, put a face to that admission counselor! Pick the brain of a financial aid expert! Ask an advisor about academic accommodations! These people are here to help you along and make the whole thing less daunting. 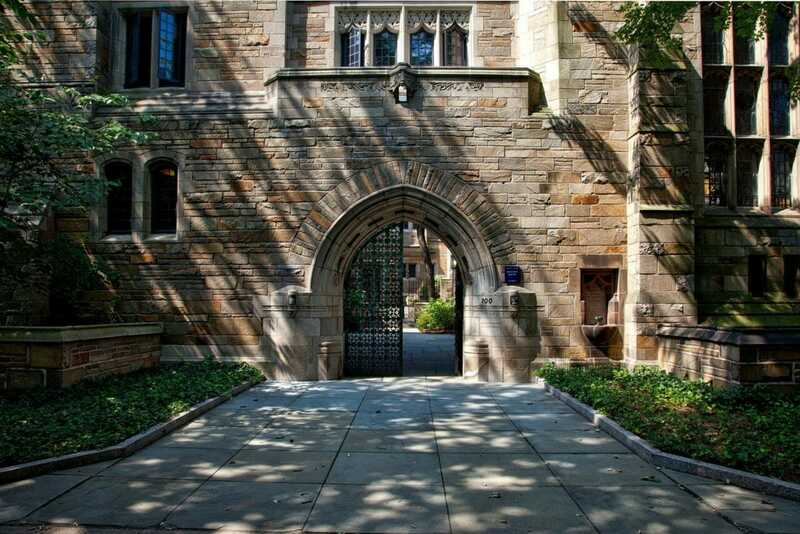 Why should I choose this college? What is something that surprised you about college? 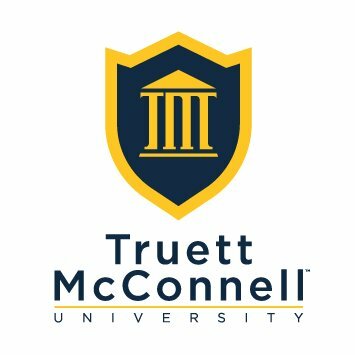 What do you like/dislike about this college? What kinds of academic accommodations are available? What’s the area surrounding campus like? 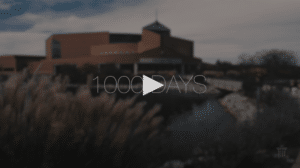 This is an exciting time for your family! It can be complex, but it doesn’t have to be scary. Remember, colleges have teams of trained experts waiting to answer your questions. So try not to stress, and have fun exploring your options! Click Here to learn how you can join our FREE Homeschool Guidance Counselor program and receive monthly emails, get access to our Homeschool College Fair and so much more! 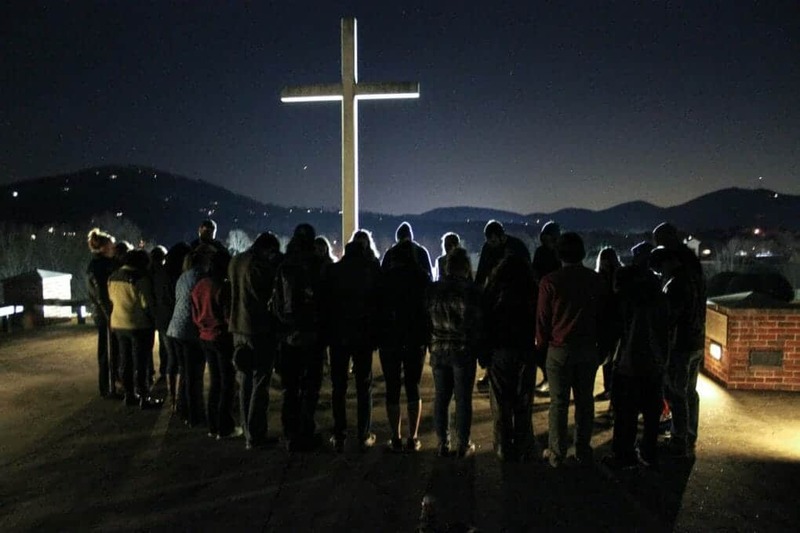 Bridget Nee is a writer for Bob Jones University, a Christian liberal arts university in Greenville, South Carolina. After navigating the journey through homeschool and college herself, she enjoys sharing her insights with other homeschool families to help make their experience fun and exciting. Applying to colleges can be a long and exhausting process. 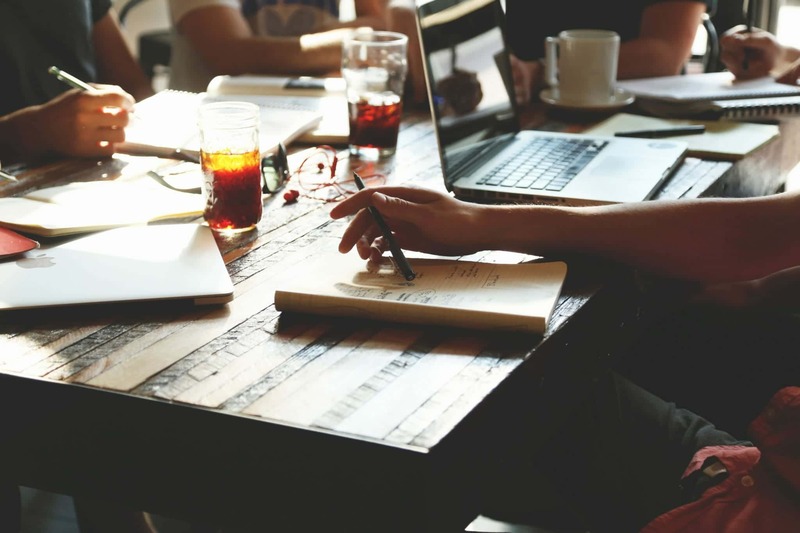 Most schools require an application, standardized test scores (the ACT or SAT), high school transcripts, and some universities may even require essays. These essays generally involve asking the student to answer questions about their lives and are used to measure writing ability, communication skills and personal development. 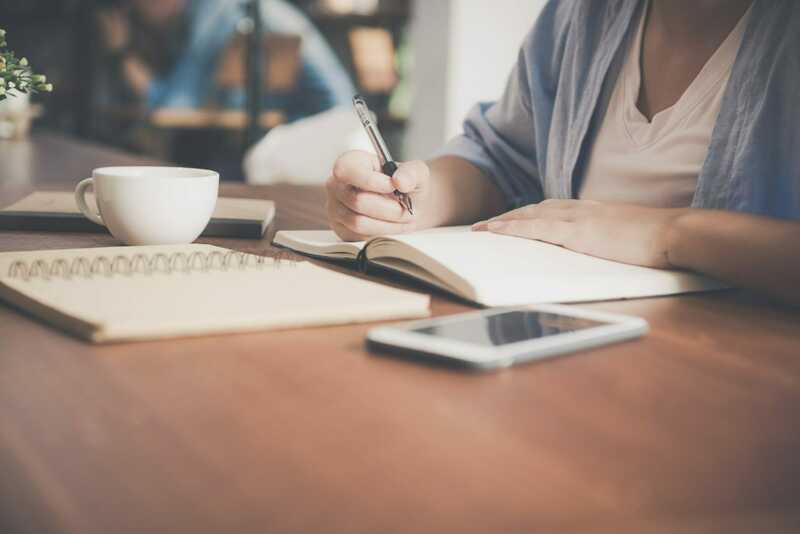 We at Ohio Christian University have put together seven tips to help you write an awesome entrance essay to help you get into the school of your dreams! Brainstorm—Find a creative way to link your personality traits to the essay question. Be sure to fully answer their prompt while also making a distinction from other applicants. Structure the Essay—Create an outline and begin writing a first draft, knowing that changes will be made. Hook the Reader—Admissions counselors read many essays at a time. Find a way to get them interested in your essay from the start. Be Honest and Concise—Do not simply write what you think they want to see. Answer each question honestly and to the point. Proofread—Reread the essay carefully and make corrections. Ask for Feedback—Essays can be improved by being reviewed by other eyes. Ask your parents, teachers or friends! Proofread Again—Now that additional changes have been made, read through the essay carefully once more and make any final adjustments. 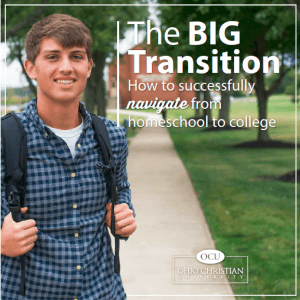 Want more information about transitioning from homeschool to college? Read the rest of our FREE eBook. Find out how you and your high school student can attend Teach Them Diligently for FREE and get invaluable information delivered to your inbox each month through our Homeschool Guidance Counselor program! Get details here! !